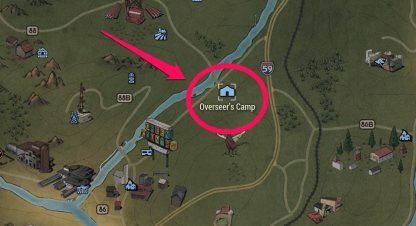 Learn the different locations of your CAMP in Fallout 76! Know where your stash is to easily get to them and conveniently store junk, transfer items, and more. 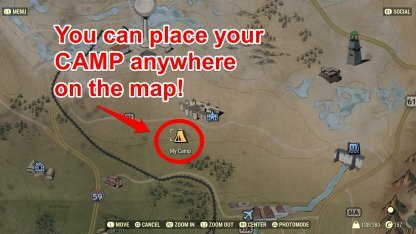 You will be able to access your stash in your CAMP anytime, anywhere since you are able to place your CAMP on any almost any location on the map! The best part about this is that you can fast travel to your CAMP for free! To be able to access your stash from your CAMP, you must craft a stash from the CAMP first, and place it down on a location within the CAMP. 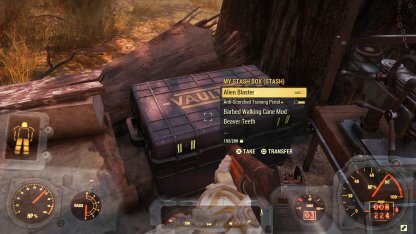 You can find a My Stash at the Overseer's Camp just outside of Flatwoods. 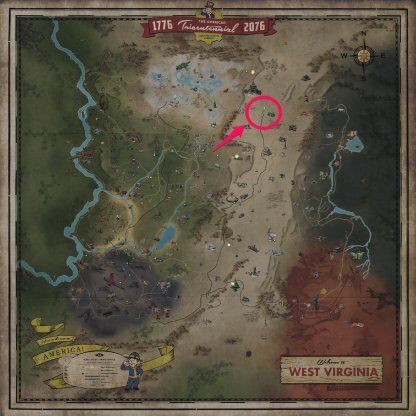 This is also a convenient location since you will be able to fast travel to Vault 76 for free and will only need to walk a short distance Southeast to find the camp! 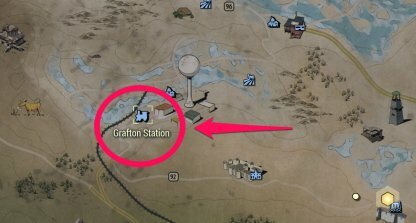 Grafton Station is a train station that can be found Northeast of Vault 76. You will find a My Stash in the building of the station, along with a robot vendor for you to trade with! 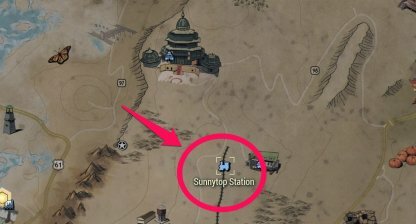 Sunnytop Station can be found at the Eastern part of the map, just behind Sunnytop Ski Lanes. Here you will be able to find a My Stash box along with a robot vendor for you to trade with. 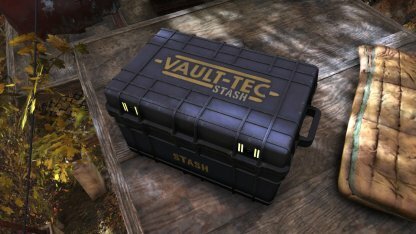 Your My Stash is a safe space for you to be able to store your weapons, chems, armors, and more. This stash will only be accessible by you, and you alone, so make sure to use it to its full potential. The My Stash will be able to carry items that add up to 600 weight. This is very useful since you will be picking up your items throughout your travels. 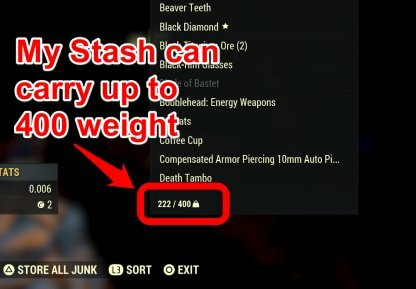 According to the game's development team, there are plans to increase the max capacity for the stash since there are a lot of items that can be picked up in the game. When you log out, of the game, the My Stash will keep your items safe for you. This means that when you log back into the game, your stashed items will still be in the same place where you left them. There will be times that you may come across a stash that looks like yours. Make sure that the container is named My Stash, or else it will not save your items when you log out of the game! Keep an eye out for fake stashes. Your My Stash will share your items with other My Stashes around the map. This means that you can store a weapon in your CAMP, and collect the same weapon from the stash in Grafton Station!